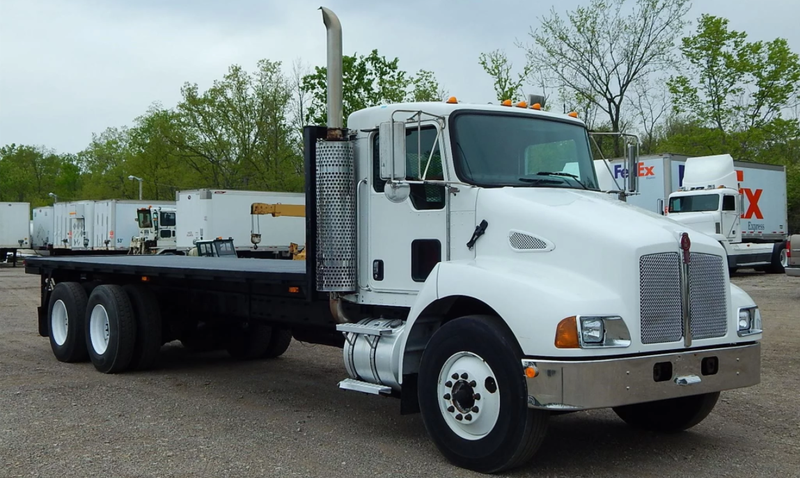 A man in Alabama allegedly stole a Kenworth T-300 flatbed truck, and led police on perhaps the most pathetic police chase in history. All because he didn’t know how to operate the manual transmission. The Jefferson County Sheriff’s Office reports that, while its officers investigated a suspicious car sitting in the road at 4:30 a.m. this morning, a citizen notified them that someone had stolen a truck. That’s when police removed the driver from the truck, arrested him, and charged him with theft, reckless Endangerment, attempting to elude and resisting arrest. This wouldn’t be the first time we’ve seen an attempted vehicle theft thwarted by a manual transmission, but this might be the first time the driver was dealing with a commercial truck transmission. And since commercial truck transmissions tend to be more confusing than manual transmissions found in cars, maybe we should cut the suspect some slack on this one, right? Well, I’m not so sure. These Kenworth T-300 trucks came with anything from a standard six-speed Eaton Fuller shown in the picture above to a 10-speed Eaton Fuller transmission with range selector shown in the picture below. And while that 10-speed may sound complicated, the shift pattern through the first five gears is exactly the same as you’d find in a traditional five-speed automobile. So why the driver couldn’t get into second gear is beyond me. Either this thing had some mechanical problems to begin with, or the guy just didn’t know how to drive a stick, which wouldn’t be surprising in the least.